Too often, the needs of English language learners are met with simplified curriculum and lowered expectations. What would happen if instead classrooms were organized to honor the promise of these students by increasing rather than decreasing the intellectual challenge of instruction, by increasing the support such challenge requires, and by increasing students’ active engagement with their own learning? This book is the result of a decade-long effort in school districts such as New York City, Austin, and San Diego to implement challenging instruction that is designed for classrooms that include English learners and that raises the bar and increases engagement for all learners. Classroom vignettes, transcripts of student interactions, and detailed examples of intellectually engaging middle school and high school lessons provide a concrete picture of the instructional approach developed by coauthor Aída Walqui, founder and director of WestEd’s Quality Teaching for English Learners (QTEL) initiative. Underlying the QTEL approach and giving it coherence and power are three strands of instructional theory—cognitive psychology, sociolinguistics, and sociocultural learning theory. Coauthor Leo van Lier, internationally recognized author, linguist, and sociocultural theorist, lays out through clear and frequently wry examples just what these theories have to offer the classroom teacher, in particular the teacher of English learners. An interview with Aída Walqui, Scaffolding Success: Five Principles for Succeeding with English Learners, is featured in the February 2010 issue of Language Magazine. “This lively and highly readable book illustrates in many ways the pedagogical principles it espouses for the classroom: it is invitational, challenging, and supportive. 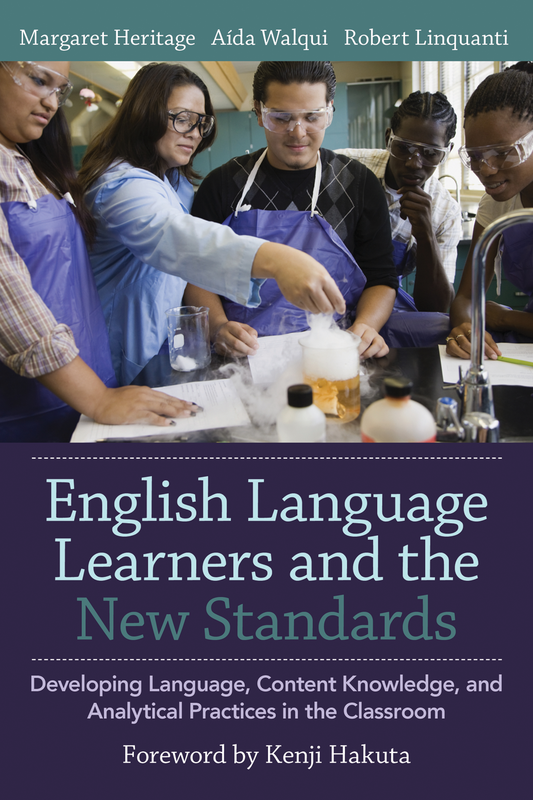 The book invites readers to reflect on current theories and pedagogical principles around the teaching of English language learners in content classrooms, and encourages critical reflection of these ideas through many examples of how they can be enacted in authentic classrooms. It offers many practical suggestions and examples of tasks and activities, and all teachers will find these useful. While aimed at supporting English learners, they are equally valuable for all learners. Drawing on sociocultural theory, social views of language, and a clear research base, this book presents a view of the learner as the person he or she has the potential to be, and argues persuasively for teachers to develop a strong theoretical basis for their practice. Teachers are presented as reflective practitioners, and their questions and concerns are evident throughout. One of the book’s strengths is the use it makes of authentic classroom examples, including transcripts of student talk and illustrative tasks and activities for developing students’ academic language and literacy. The authors’ discussions of these examples clearly exemplify the links between theory and practice. Overall the book illustrates a creative, current, and coherent approach to pedagogy and teaching, and challenges aspects of traditional curricula and assessment processes that have in the past limited learners’ potential. 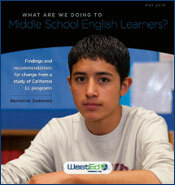 This summary provides an accessible overview of English learner (EL) programs in California middle schools. QTEL Summer Institutes: Quality Teaching for English Learners in the Era of New StandardsQuality Teaching for English Learners Institutes will deepen and broaden your understanding of pedagogy and your repertoire of practices to work with English language learners. Quality Teaching for English Learners Professional Development for Teachers and Education LeadersDesign high-challenge, high-support instruction for English learners to accelerate their conceptual, academic, and linguistic development. Register for an institute and/or receive customized sustained professional development n your school or district.